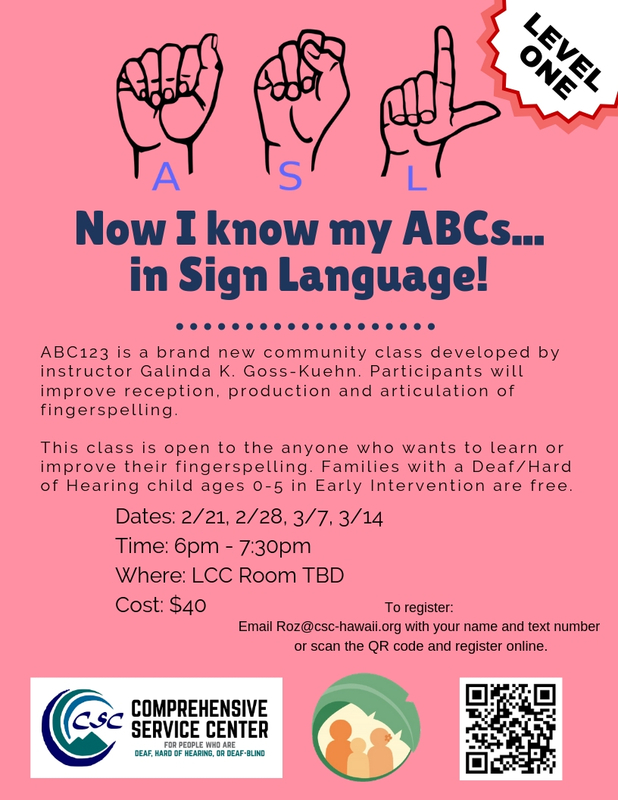 ABC123 is a brand new community class developed by instructor Galinda K. Goss-Kuehn. Participants will improve reception, production and articulation of fingerspelling. This class is open to the anyone who wants to learn or improve their fingerspelling. Families with a Deaf/Hard of Hearing child ages 0-5 in Early Intervention are free. Cash or check payable to: RCUH 10166.